Stephen Coonts is a former Navy aviator who flew A-6 Intruders in the Vietnam War. 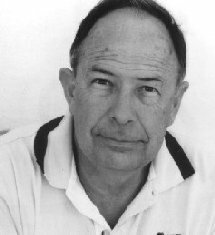 Coonts has produced a steady stream of books since his first novel, Flight of the Intruder, became a big bestseller in 1986. 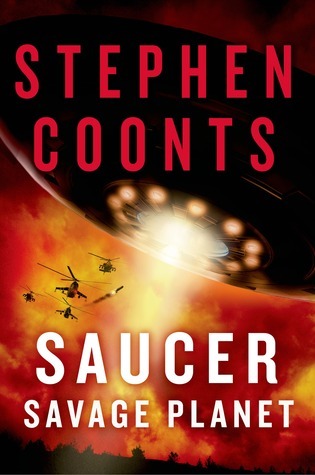 That includes three books in his “Saucer” series, the third and final of which is Savage Planet (St. Martin’s Griffin, 352 pp., $27.99, hardcover; $15.99, paper). Savage Planet features a returning cast of players, many of whom had major roles in the first two books, which I have not read. I do not recommend that Coonts fans start reading this series at the third book. It would benefit them to buy the whole series and read them lickety-split, as this sort of thriller makes the reader want to find out just what the heck is going to happen next and if anything really bad will happen to one of the heroes. I highly recommend the third book to those who have read the first two, as I found it enthralling and exciting, even though I started at the end of the series. Savage Planet is a rousing space adventure yarn in the spirit of the great science fiction epics of the 1950s. Plenty of one-dimensional bad guys and thugs throw spanners into the good works that the good guys are trying to do. Thriller-adventure novels are only as good as their villains, and the villains in this series are from the world of Big Pharma. They are on a quest to find a med that is the equivalent of the Fountain of Youth. The good guys have the sort of names such as the heroes had in books of my youth: Adam Solo, Rip Cantrell, “Charley” Pine, Uncle Egg. One of these intrepid heroes, by the way, is a woman. The character I enjoyed the most was Adam Solo, an alien stranded on earth a thousand years ago. He occasionally coughs up references to incidents and adventures from his tenure on this savage planet. He is intrepid, resourceful, and occasionally borderline witty. Also this hero is a librarian or claims to be. I love it when an action hero is a librarian. Savage Planet presents a mostly optimistic vision of our planetary future. That’s a welcome diversion in these dire, doom-laden times. If you are in the mood to escape into the fun of reading an old-fashioned thriller SF novel, I recommend this trilogy. 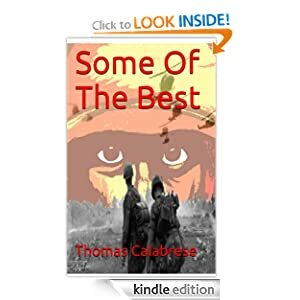 Amazon tells us that Thomas Calabrese’s Some of the Best (Amazon Digital Services, 220 pp., $2.99, Kindle) is an “action adventure story set against the backdrop of the Vietnam War.” That is true as far as it goes— which isn’t quite far enough. The garish cover, showing a set of otherworldly staring eyes under the edge of a helmet, visually communicates elements of fantasy and science fiction. Calabrese, a VVA member, dedicates the book to the men of Lima Company, Third Battalion, 26th Marines. He goes on to say that the book was “inspired by true events.” It’s safe to assume that Calabrese was a member of that unit. His use of detail, rank, and other Marine Corps details is the result of more than just arduous research. The book seems to be written by someone who has been there and back. In this book the reader must pay close attention or he’ll miss something important to know, something about the essence of the Eternal Soldier. I don’t want to spoil anything, so that’s all I’ll say about that. That quiet Marine, by the way, becomes a sergeant who leads his men, including Gaetano, through an amazing series of combat situations. There is enough killing here to fill up a dozen other books of this sort. There also are plenty of grisly scenes of Marines violating the Geneva Convention by—among other things—whacking the heads off dead enemy soldiers. We get some of the usual Vietnam War stuff in this novel, including mentions of ham and lima beans, immersion foot, and R&R’s. But a lot here is new and different. Calabrese uses the techniques of magical realism, fantasy, and dreamscape to take us into new realms, including poppy fields where Taliban forces are lurking. Some of the Best reminds me of a couple of Joe Haldeman science fiction classics, including War Year, right down to the cover. That is high praise. The author of The Black Heart (CreateSpace, 448 pp., $19.95, paper), T. Michael Fuson, was a Chief Warrant Officer in the U. S. Army and flew helicopter gunships during his 1969-70 tour based out of Chi Lai in South Vietnam. He has used that experience and his research into anti-gravity propulsion to produce an alternate-reality novel that proposes that some slight variations in the Vietnam War, such as “rapid deployment of small nuclear arms,” might “have caused significant differences in today’s world.” That might be an understatement.